Extended version of Phanzine vol.23:2 article: Sandra Gorter, ‘Unearthing Evidence’. Did you enjoy Sandra’s article in the August issue of Phanzine? Due to space constraints, the original article was shortened. Here’s the unabridged version. Sandra Gorter shares some fascinating insights into a recent project. When a history needs to be compiled but much of the documentary evidence has been lost or destroyed, oral history can be a productive starting point for the work. When asked in 2012 to conduct a history of HEB Construction, two boxes of plans for failed tenders from 1982 and 1983 were provided, some correspondence and company publications, and a list of six older people to interview. Gary Harris, Wayne Etherton, and Ival Brownlee formed HEB Drainage in 1975, using the initials of their surnames to provide the company name. Bruce Pulman and his family became partners in 1980, and by 1982 the Pulman family owned the company. 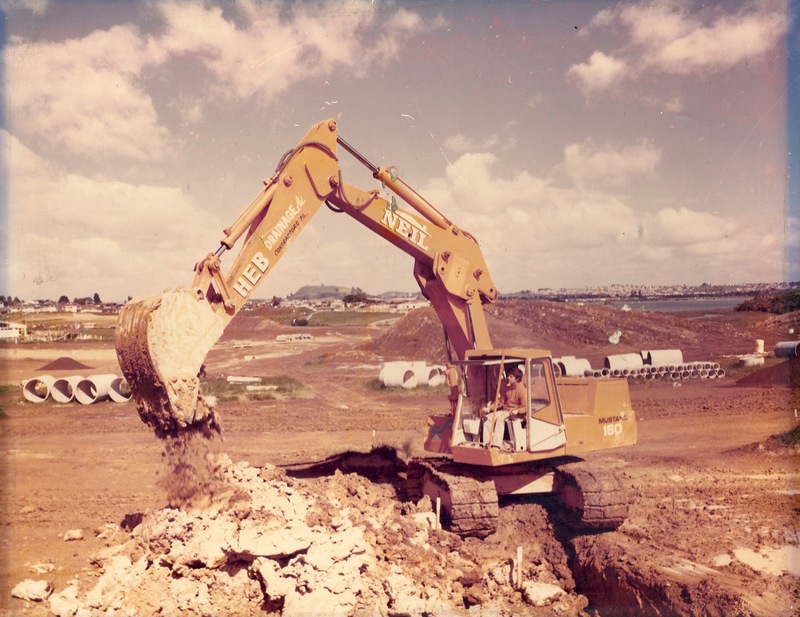 HEB went on to become one of the country’s largest civil construction companies, building projects like the Arras Tunnel in Wellington, Transmission Gully, and the Kopu Bridge at Thames which features on the front cover of the book. Both Bruce Pulman and Gary Harris before him had decided on a subcontractor model for delivering work as opposed to an employee-based work force, which involved less risk to the company, and a greater financial return to those doing the works. Over 250 interviews were conducted with these self-employed contractors, the founding partners, employees, and past and present clients. 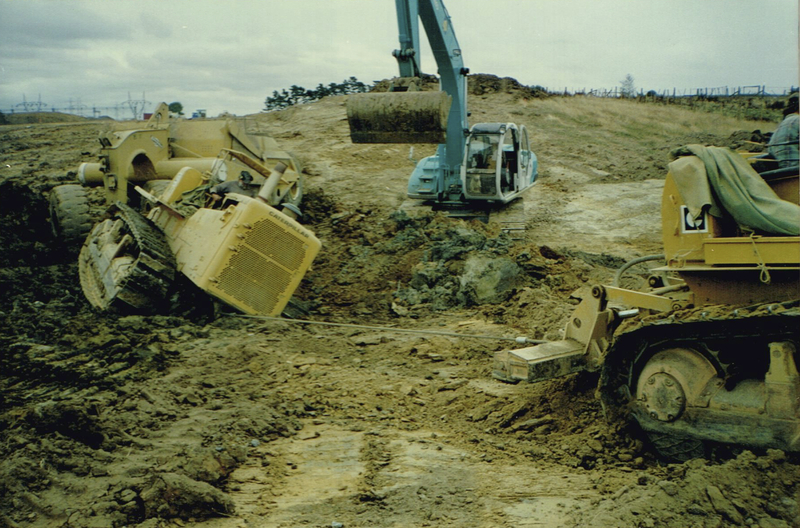 Roads and subdivisions are still constructed, holes are still dug in the ground, filled with pipe, cables and metal, water still is channelled in and out, but how the civil works are delivered was quite different in the 1970s from what it was at the study’s end in 2007. Civil construction had a reputation as a ‘boom and bust’ industry. Notions of ‘loyalty’ and ‘reputation,’ the guiding principles of the industry in the 1970s, were highly valued but gradually disappeared after 1987. Civil construction was and still is, a highly personality-driven industry. Under the leadership of the Pulman family, operations manager Keith Sime, and lawyer Bryan Gallagher, HEB was regarded as a bastion of the remnants of the ‘loyalty’ and ‘reputation’ work values. Responding to legislation, the industry adopted a litigious approach to works that evolved in the 1990s, and was cemented by 2000. New layers of administrative management evolved over that time. A gender shift occurred during the 1990s that saw more women on site. Self-employed contractors were largely replaced by in-house operations. The inflation-adjusted cost of civil construction increased in the order of 3 or greater times in this period. The interviewer had an advantage in that references to jobs, people and practices were identifiable from on-site work experience. A huge shift occurred in the vernacular language. Because the earlier generation of men were highly articulate, and detail not picked up during the interview was picked up in the transcription. Details reinforced by transcribing were more likely to be recollected in the writing process. The later generation were highly adept at seeming to communicate, while providing little or no substantive information. During the course of the interviews people frequently indicated what documentary evidence was relevant and where it could be found. Examples are: regular references to the Ministry of Works, the entity responsible for New Zealand road construction before being disestablished and privatised in 1988. Although the majority of their records are now held by Opus International Consultants, some are accessible through Archives New Zealand. Some interviews included mention of incidents covered in newspapers, or that a government agency such as the DSIR (dissolved in 1992), or the Department of Labour (now MBIE) was involved. Limited access to their records is also available. Collaboration with other historians was invaluable. A discussion after the 2013 PHANZA AGM about the regularity of the ‘boom and bust’ phenomenon unearthed real historian’s ‘gold.’ Brian Easton referred me to the work of Victoria University’s Viv Hall and John McDermott, which translated the vernacular of the men on the ground, although colourfully and amply illustrated, into sound academic language. Images were for the most part freely provided by the people being interviewed, and the compilation of an accessible, extensive, library of many thousands of images and their associated copyright permission releases was integral to the success of the project. 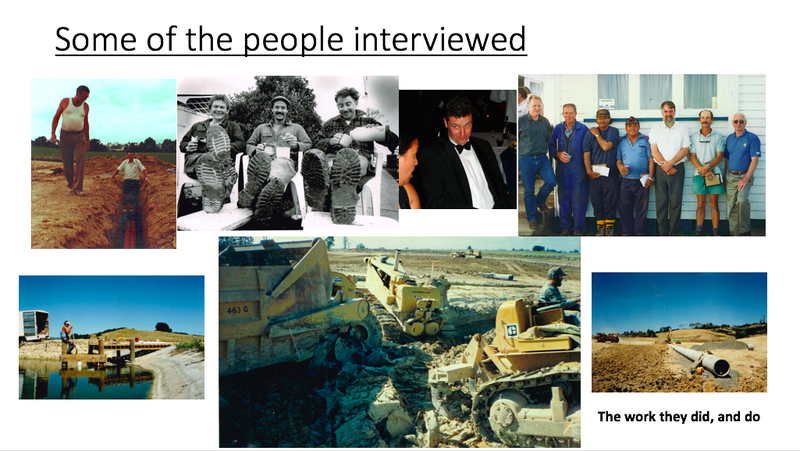 In summary, although documentary evidence may be lacking at the beginning of a project, oral interviews, in particular if the interviewer has knowledge of and familiarity with the topic, can be a sound starting point for historical enquiry. The timing of this project was particularly fortuitous – when the project began in 2012 almost all the key figures were still alive. Sadly, by the end of the project in 2016 many had passed away. Golflands, Botany Auckland, c1998, Photo: Ivan Mead collection.